Jamal**Removed By Admin** was invited to perform live on Sean Rafferty's programme "In Tune" - on BBC Radio 3 after his "BBC Radio 3 live broadcast" debut with BBC Concert Orchestra at the Menuhin Hall in London- 2012. Jamal**Removed By Admin** enjoys performing as a solo artist and a chamber musician in Europe and Asia. 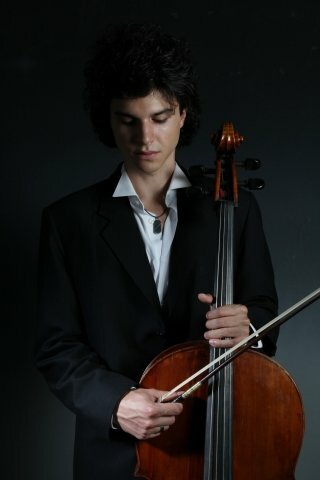 His recent performances include prestigious venues such as: The Wigmore Hall (London), The Royal Festival Hall(London), The Windsor Castle(London), The Menuhin Hall(London), Forbidden City Concert Hall(Beijing), Reims Cathedral(France), The Arts Parliament House(Singapore), The Presidential Concert Hall(Turkey), Istrian Assembly Hall(Croatia), The Saanen Church (Menuhin Festival) in Gstaad - Switzerland, Rachmaninov Concert Hall(Moscow) and many others… As well as his live broadcast appearence with BBC Concert Orchestra,**Removed By Admin** has collaborated as soloist on several occasions with orchestras such as; Bilkent Symphony Orchestra, Presidential Symphony Orchestra of Turkey, Dogus Cocuk Symphony Orchestra, RCM Classical, Yehudi Menuhin School Orchestra, Kennemer Jeugd Orkest, Orpheus Sinfonia, LGSO, Croydon Symphony Orchestra, Whitehall Orchestra, Eskisehir Symphony, Kingston Chamber Orchestra and many others… **Removed By Admin** He is a recipient of four "full scholarship" awards from Royal College of Music, Royal Academy, The Yehudi Menuhin School and the Central Music School of Moscow. Jamal**Removed By Admin** is generously sponsored by; Neville Wathen Scholar supported by an Amaryllis Fleming Award, Hattori Foundation, Talent Unlimited and the Bowerman family. I like to share my practice techniques,performance experiences, my competition experiences and open the students mind to the joys of music and playing the cello. I enjoy showing people ways they haven't discovered themselves yet through music.